This is a great opportunity to 'own' your own horse and spend more time out at the farm. 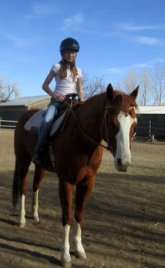 Great for kids who want more riding time and bonding time as you can come out twice a week to work 'your' horse or pony. Parents are also welcome to ride and even split the lessons. 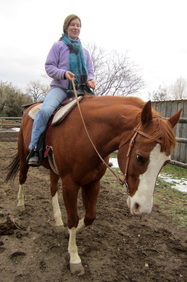 If you want to lease one horse, but work with more than one horse or pony, that is doable also. 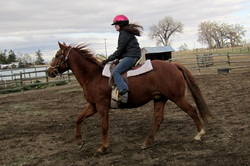 16 hand older bay quarter horse has been used for all riding levels, 4H, showing Western pleasure. Great for adult or younger rider with some experience. 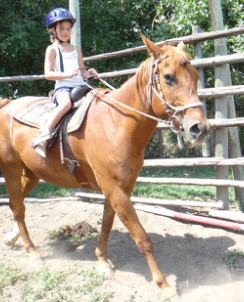 Clifford is sweet and well trained and also offers energy for confident riders. 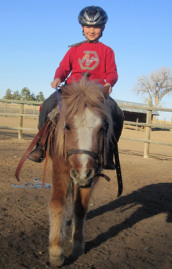 15 hand palomino quarter horse who responds well to experienced rider. Her name says it all. 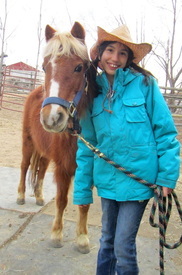 :) Super sweet pony that does have a mind of her own. We use her for our lessons and pony rides. Great for lead line. 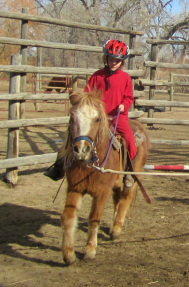 This sweet little pony is a little timid but does very well with a steady confident rider. 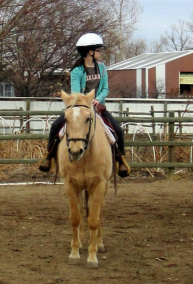 She has been used for lessons with older riders and she really shines.